In spite of an uncertain weather forecast, the decision was taken to set up the majority of stalls and attractions outside. Apart from one short sharp shower the weather was kind to us. 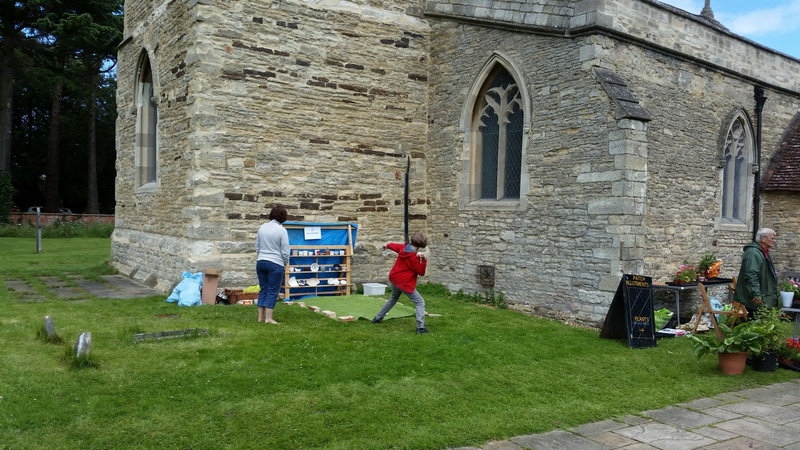 Our usual area of display was deemed to be too wet underfoot and the visit by 20 steers from the adjoining field a couple of weeks before didn’t help the state of that part of the churchyard. A new approach was to have the stalls sited along the main pathway and that seemed to work well. 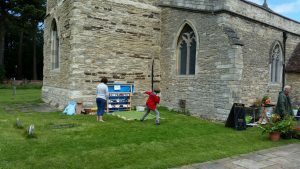 It was good to welcome both regular and new visitors to the event and to the church. 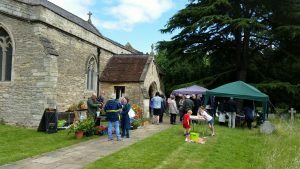 All had the opportunity to enjoy BBQ food, purchase plants, cakes and honey, and enjoy the anticipation of the tombola and raffle. The china smashing stall was a challenge for both young and mature visitors. 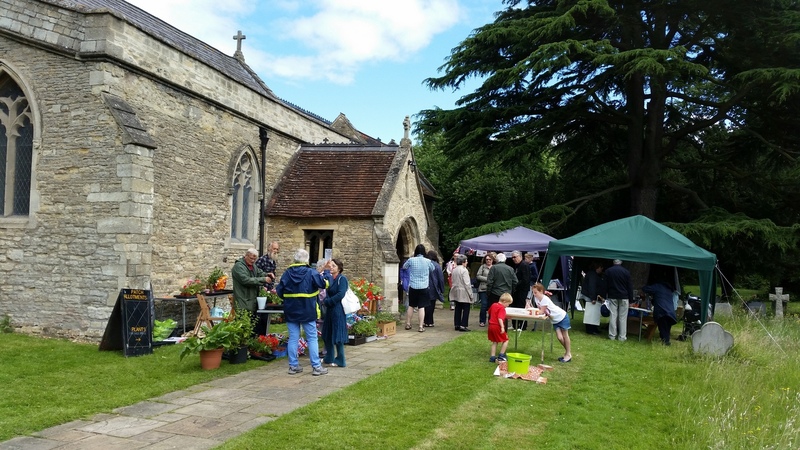 The toy and craft stalls proved popular for the purchase of gifts for all age groups. 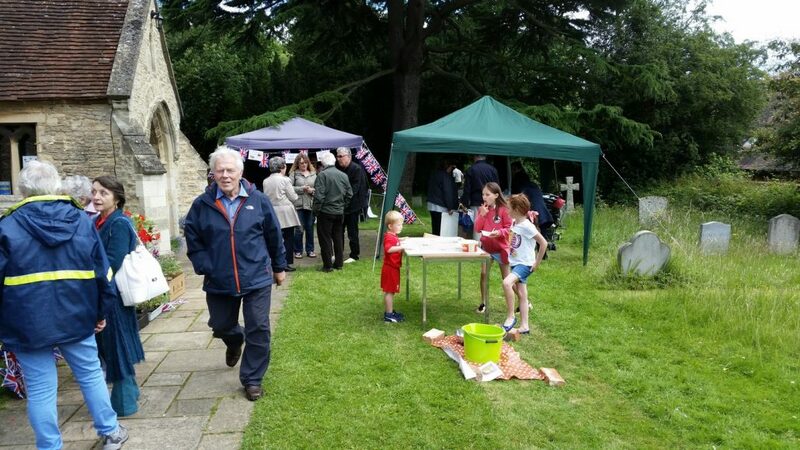 Of course the main focus of the day was the serving of strawberry teas enjoyed by many in the surroundings of our beautiful church and to musical accompaniment. All proceeds go towards the day to day running of the church and upkeep of the church fabric. Thank you to everyone who contributed in any way to the success of the day.